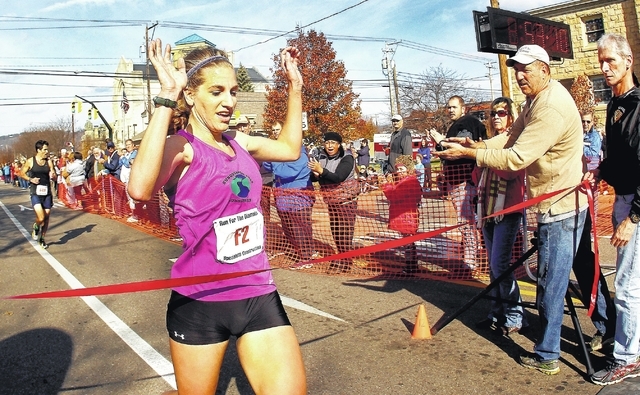 109th Run For The Diamonds 9 mile race takes runners through the town of Berwick, a course which has not been changed since it's inaugural event. Berwick Run for The Diamonds is a nine-mile foot race starting and ending on Market Street in downtown Berwick, Pennsylvania. It is held every year on Thanksgiving Day since 1908. The first race had only 13 participants. The course has remained essentially unchanged since 1908, running up a very challenging hill and through the countryside of Summerhill. No women competed officially until 1972 when two women ran. The one hundredth running of the annual event was held in 2009. It was canceled twice due to World War I in 1918 and 1919. The race was called the "Berwick Marathon" until the 1970s and 1980s. But since the race is too short to qualify as a marathon, and winners receive diamonds as part of their prize, the name was changed to "Run for the Diamonds". 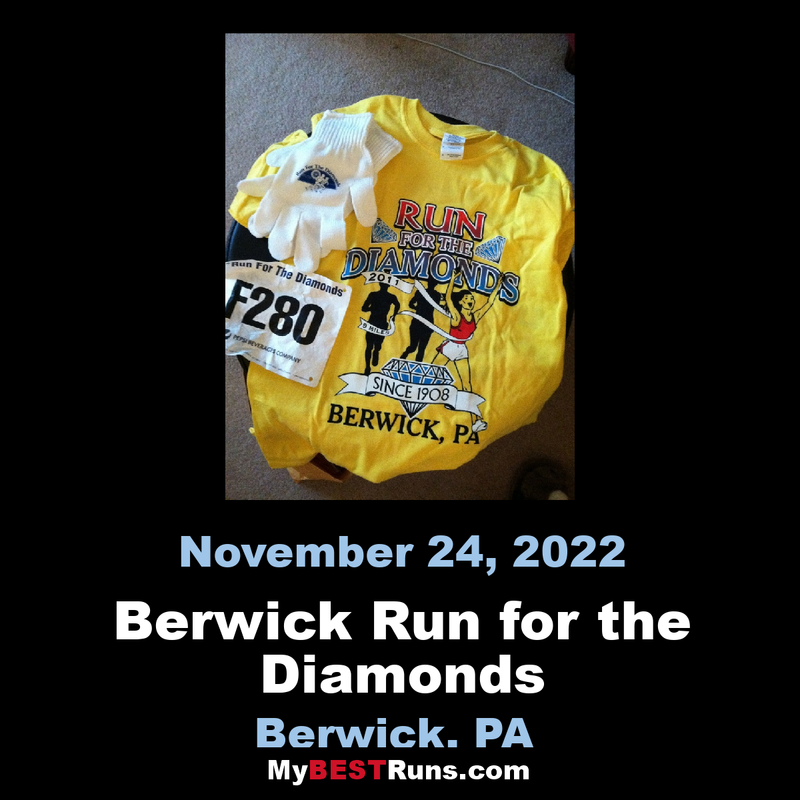 In this modern world of professional runners, televised marathons, and hundred-dollar racing shoes, Berwick, Pennsylvania’s Run for the Diamonds has the authenticity of an old boxing gym. A nine-mile race with a grueling two-mile uphill, contested on Thanksgiving since 1908, this is a throwback event that reflects the history of running in America. Berwick also attracted some of Finland’s greatest runners—Hannes Kolehmainen (the first “Flying Finn”) and Ville Ritola (the “Flying Wolf”), both of whom went on to win Olympic gold medals.